Fiction Clinic critiques fiction and creative nonfiction. 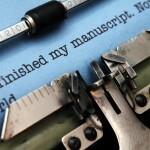 A professional critique (or manuscript assessment) is the best way to learn if your writing is ready for the big time. Wow, I feel as if I've been through eight weeks of Army basic training all over again, but "Thanks, I needed that!" I'm impressed with the depth of your reading, your methodical analysis, and the concise way you describe your reactions. You "made the sun come up" as to why things "don't work" in the stories you critiqued. An unbiased review of writing skill, including mechanics (spelling, grammar, and punctuation). Detailed assessment of story and characters to honestly evaluate them and provide extensive notes for revisions and improvements. Writing skills evaluation with helps, suggestions, and resources for expanding or practicing skills. Insightful suggestions to locate weak spots or shortcomings an author just can’t see in otherwise outstanding stories or novels. Critique cost is based on manuscript style and length* (word count). After you complete critique service purchase, click here to go to the Manuscript Submission page to send FC your manuscript in digital format. You will need to include the PayPal Transaction ID in the email. * Need to verify manuscript word count? Paste your manuscript text into the box of this handy web-based tool. The returned count value is similar to MSWord’s.